The rather eccentric Mr Reginald Huth is sometimes described as ‘a gentleman of leisure’ but his actual occupation is not known for certain – the Huth family were best known as financiers in the City of London. 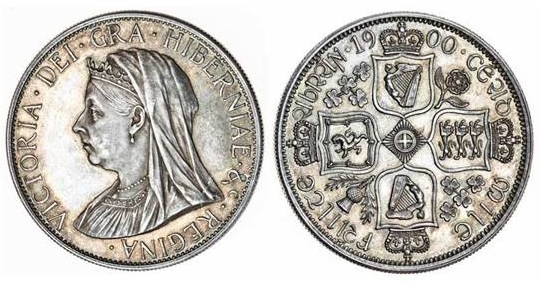 According to one source, he was ‘the London representative of the Bank of Spain’ though what he actually did in this role is unclear, since he seems to have been pre-occupied with collecting English, Spanish and Russian coins and medals. He married Alice Devaux, daughter of Alexander Devaux, on 30 June 1887. 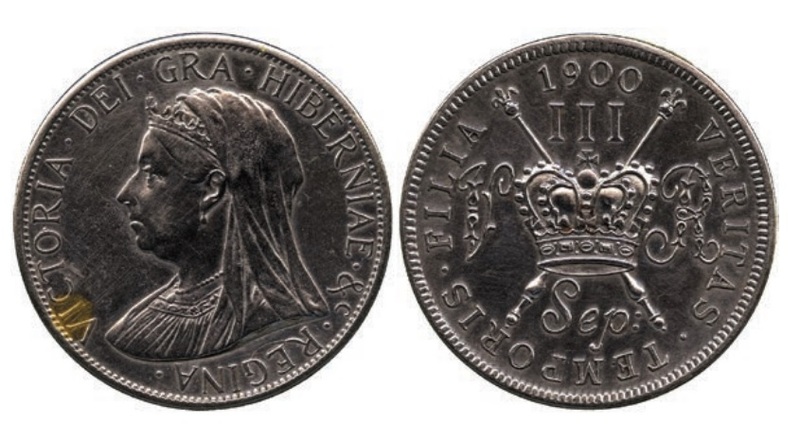 Most notably, he suffered from a severe mysophobia, a pathological fear towards germs about germs and cleaned his coins thoroughly before putting them into his cabinets. 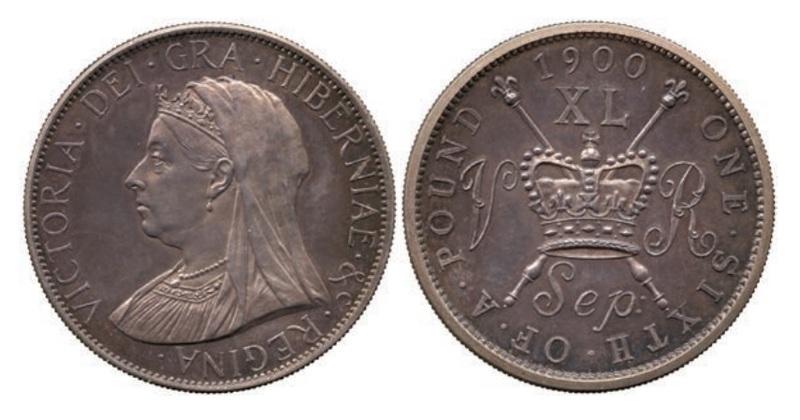 He is often used as an example of the dangers of cleaning coins in numismatic articles and books. 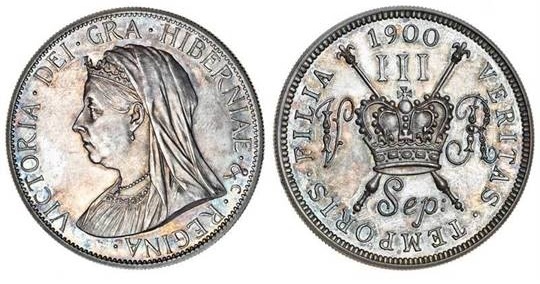 Huth was fascinated by deposed queens and princesses including Liliuokalani and her niece Princess Kaiulani, in whose name he created silver Dala and gold 20 Dala fantasy patterns. Other historical figures honored by him were Madagascar’s Queen Ranavalo; Spain’s deposed Isabel II and the Queen Regent Maria Cristina; Infanta of Spain Luisa Fernanda, Duchess of Mompensier; and the youthful King Alfonso XIII. 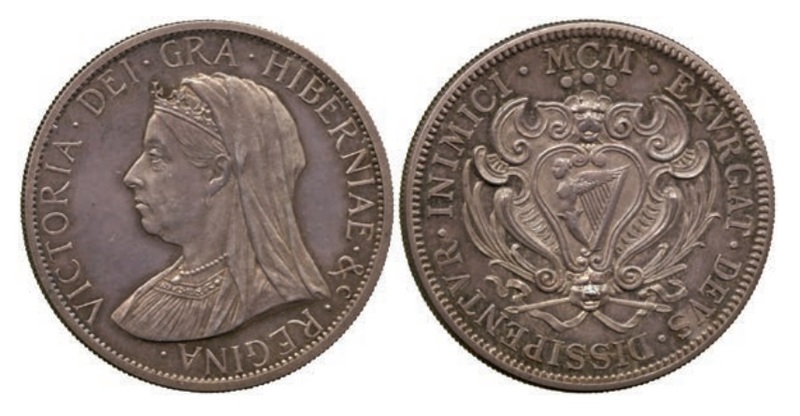 Huth created several patterns for King George V. The death of his own mother was marked by a coin-like medal of 1901.
Who are John Pinches & Co? John Harvey Pinches (1852-1941), the son of the founder. 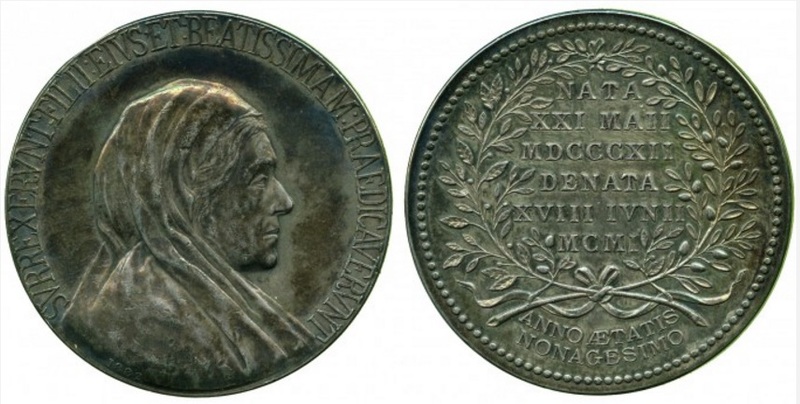 A number of 19th C medals or medallions by John Pinches are owned by the British National Portrait Gallery. The ‘not so famous’ second issue of Puffin coins of Lundy Island were struck by Pinches & Co in 1965. 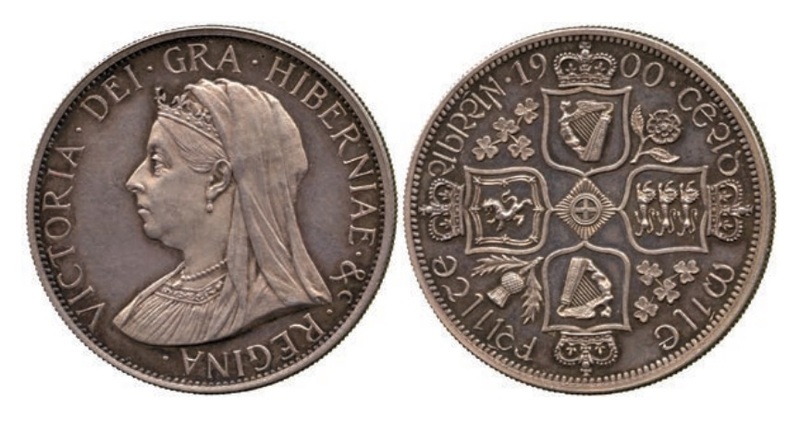 In 1965, a second issue of coins, made by John Pinches, was carried out. These were a commemorative issue to commemorate the 40th anniversary of Martin Coles Harman’s purchase of Lundy. The coins are of the same design as the 1929 issue coins, but have plain edges and the 1965 date. They were struck in Proof sets, in bronze, nickel-brass, and gold. They were issued in a special case of which at least two varieties exist. 3000 of the base metal sets were issued and 25 of the gold sets. I’m writing a paper on Huth and the Pinches Co. May I ask where you found all your information on them? A variety of sources – mostly online and on digitised books. I’m not doing an academic study, so I have been a bit lazy re citations.